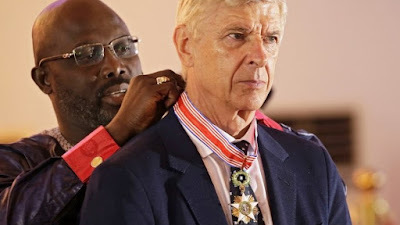 With Higuain off to Juventus and Morata looking like he will not leave Real Madrid soon, Arsenal is day by day getting out of options and if Wenger does not stop his constant dithering, we may soon run out of options for a striker. We all know we won't spend what it needs to sign Aubameyang who I sincerely believe could be available for the right price and to make it worst, the Gabonese has confirmed he will not be leaving Dortmund and that if he leaves, he will only leave for Real Madrid. That means we have no chance of getting him unless he goes to Madrid and flops and we are his escape route. However, if news coming from Italy is anything to go by, Arsenal might have been presented a golden chance of getting a striker finally. According to reports yesterday, which we reported here, Napoli were trying to sign Lacazette as a replacement for Higuain who is Juventus bound. However, newer reports have it that the Naples based club are on the verge of signing Mauro Icardi instead. But now that they are on the verge of signing Icardi it means one club who could potentially rival Arsenal for the signing of Alexander Lacazette is now out of the equation. Also, reports from the French media have it that PSG are not ready to pay Lyon's asking price of €50 million. Another potential rival out of the race there too. However, if news emanating from Italy is anything to go by, Arsenal might have been presented a golden chance of getting a striker finally. According to reports yesterday, which we reported here, Napoli were trying to sign Lacazette as a replacement for Higuain who is Juventus bound. However, newer reports have it that the Naples based club are on the verge of signing Mauro Icardi instead. This situation could work perfectly to our favour as the less the number of clubs interested in signing the Frenchman the lower the chances of the price skyrocketting. And as we know, Wenger hates a bidding war. However, Inter Milan who will be needing a striker to replace Icardi and could well come in for Lacazette and with they having money from the sale of Icardi, they may be willing to go ridiculous on a transfer fee. 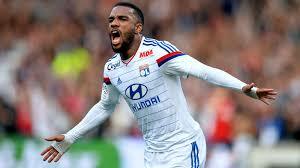 Although the lack of Champions League football could work against Inter Milan as Lacazette is very unlikely to leave Lyon who will be playing in the Champions League next season for a club who will not be playing in Europe at all. Regardless of what happens in the next few days, Wenger and his management team need to know we can't go into another season without having bought the right players in the transfer window. We have managed to scale through in the race for top four on many occassions but with the likes of West Ham having more money to spend, Tottenham and Leicester City's teams of last season still very much intact, Arsenal may stand a great risk of missing the top four next season if the right thing is not done this summer. Many may argue we need a drop out of the top four to finally get serious. But that's so wrong. If we are in the top four with Champions League football so guaranteed and we struggle to get what we need, how worst will it be when Kroneke doesn't have the money from UEFA? Could mean half of the team been sold and the small boys played till we sneak back in.